But don’t despair! Our ten decoration tips are not only original, beautiful and oh-so-festive, they’re easy as pie to execute, too. 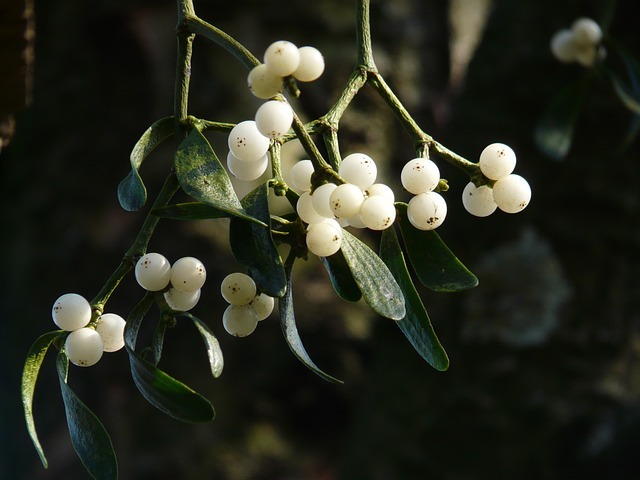 No Christmas party would be complete without the traditional sprig of mistletoe hanging above the front door; guests will notice it on the way in and immediately get into the party spirit. Not only will it look striking and suitably festive, but the chances of witnessing Christmas kisses will be highly increased. 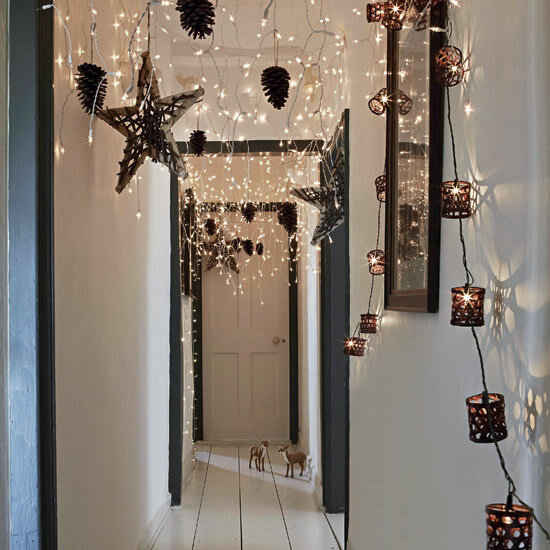 Create a magical winter wonderland in your hallway by draping twinkling fairy lights across every nook and cranny. Why not try mini lanterns, stars and other shaped lights as alternatives to the generic bulbs? Then watch as your guests enter in awe of your delicate, glittering fairyland. 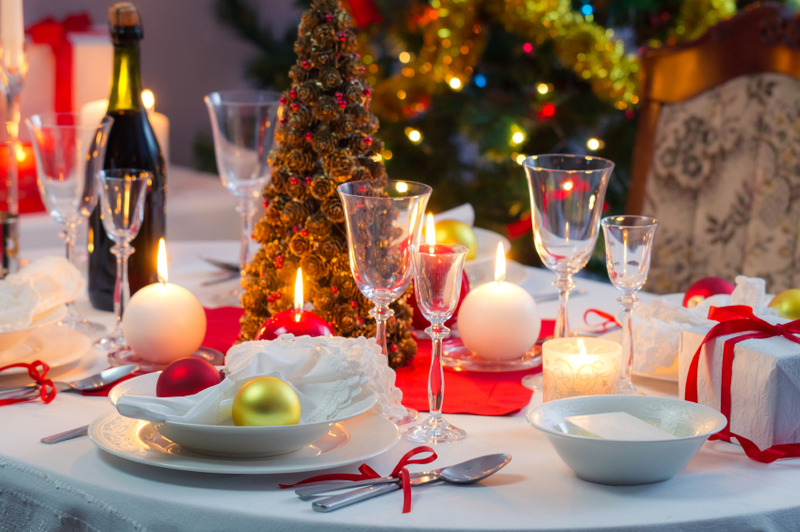 Your guests will have dressed up, so ensure your table is attired to a similar adequacy. Matching crockery, place settings and cutlery are a must, alongside white napkins dressed with holly leaves, baubles and an obligatory cracker for each individual guest. A white linen table cloth dressed with red, green and gold runners make for a beautifully festive table; you can also accessorise with an arrangement of baubles above the table and a cluster of candles to create a real sense of occasion and drama. Finally, acquire glitter or scatter crystals in a variety of Christmassy shapes and colours to give your table the finishing touches. 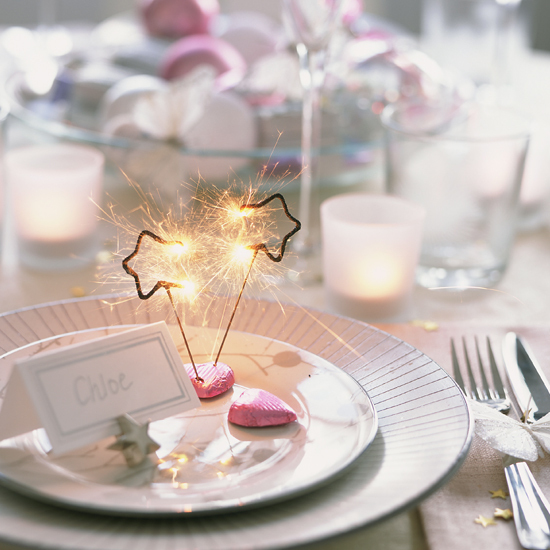 Sparkler’s aren’t just for Guy Fawkes night; add small ones to place settings if you really want to impress your guests, and watch your dinner party go off with a bang (just ensure they’re gone by the time you bring out the brandy soaked Christmas pudding…. 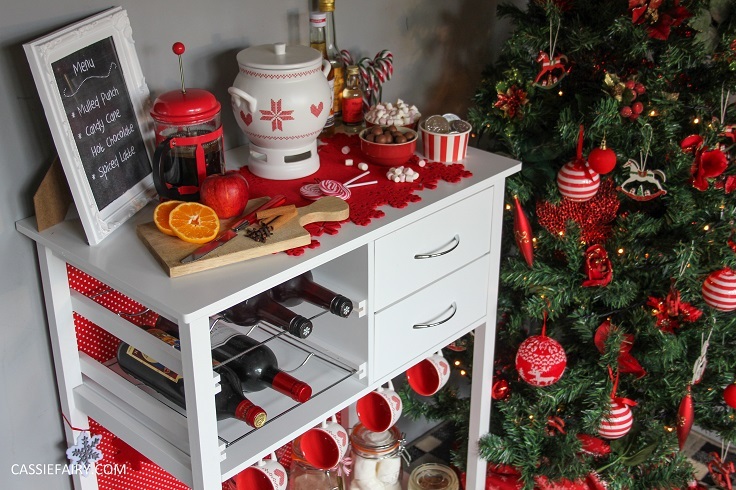 We all love a Christmas tree, but why not wow your guests with an original version? 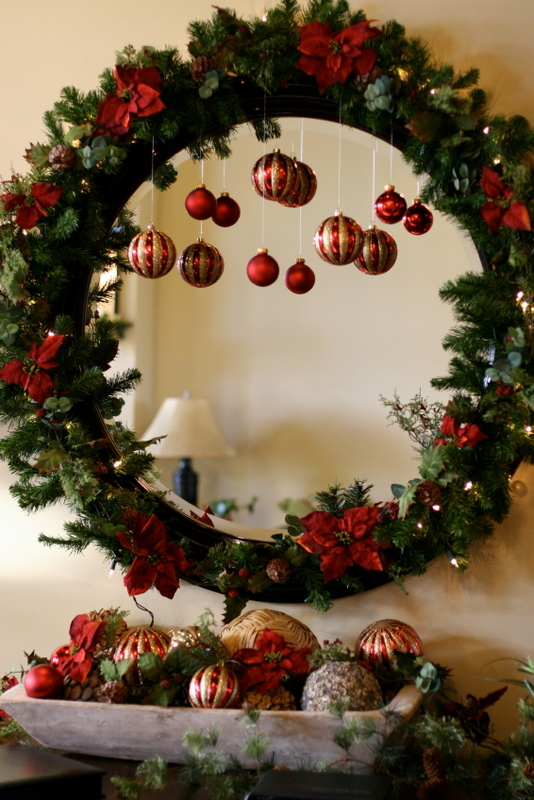 The truth is, you can turn anything into a tree with minimal equipment; grab a string of lights and some baubles and decorate mirrors, picture frames, furniture and more. ‘Tis the season to drink cocktails, and Christmassy ones always seem to go down well. 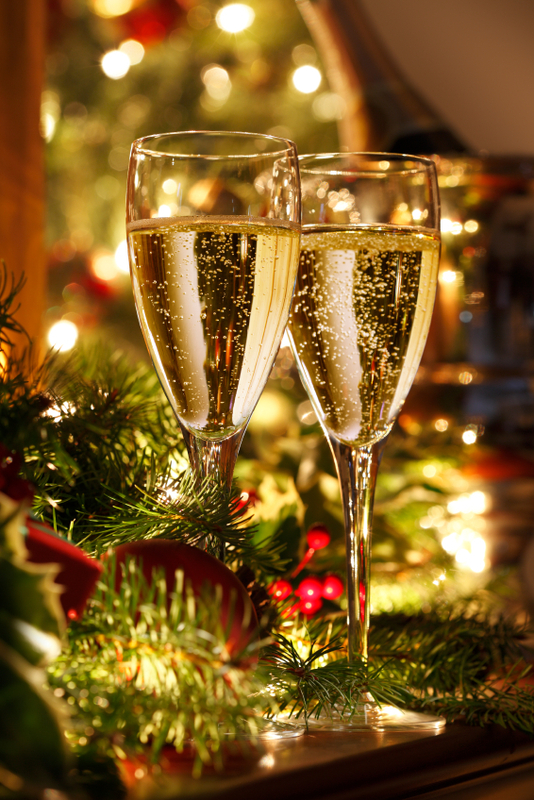 Mix champagne, gingerbread syrup, lemon juice and a splash of hazelnut liquor for the perfect Christmas breakfast Bellini or go for the traditional greats of mulled wine and cider. Serve in pretty glass tumblers and garnish with green herbs and red ribbon for a festive flourish. 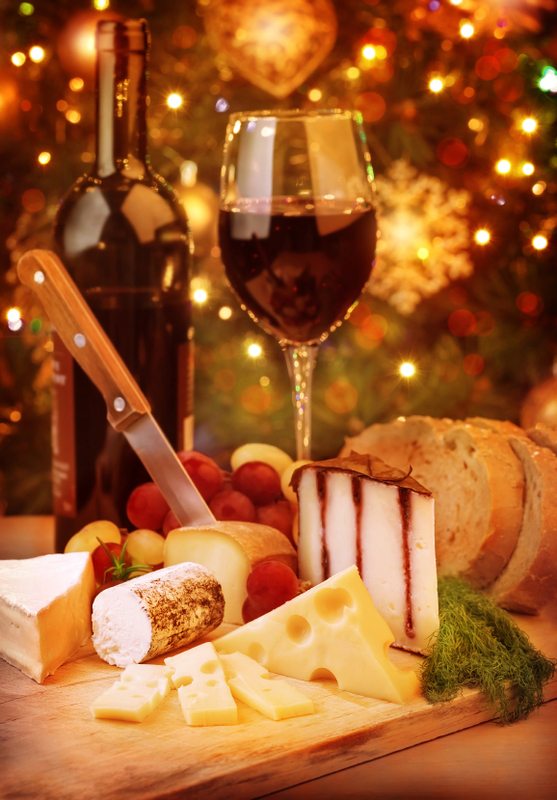 Your house will smell like Christmas too – bonus! If there’s one day a year you should go all out, it’s Christmas day for sure. 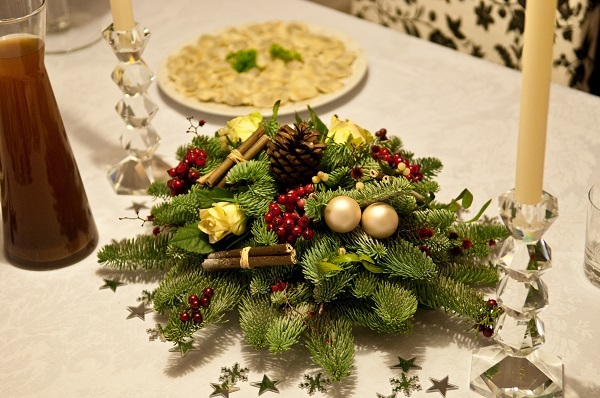 You don’t have to spend hundreds on a huge fancy centrepiece though; a large wreathe, lashings of holly, candles and some pine cones are all you need to create a show stopping piece to eat your dinner around. 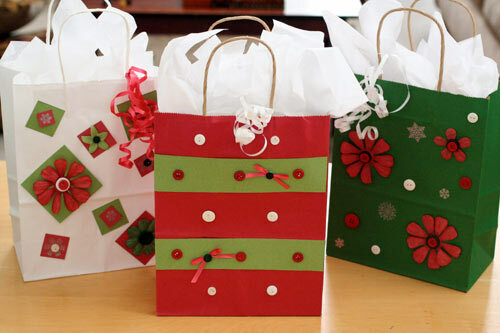 Go retro at your Christmas party; give your guests something to remember the day by with a selection of crafty Christmas party bags! Fill paper bags with edible festive treats such as sweets, nuts and clementine’s or create Christmas traditions by giving each person a personalised bauble they can get out every year. Not just for rewarding well behaved children, these bags are surprisingly popular with adults too – everybody loves a memento!